A View for All Seasons has an Awesome Mountain view,1 mile proximity to Dollywood, Summer fireworks displays, New luxury furnishings, pool table,... VIEW NOW. Aunt Bug's /Acorn Cabin Rentals, LLC, a rental management company, has adopted the following Rules and Regulations pertaining to the use of the cabins in order to enable the guests to obtain the maximum enjoyment from the use, as well as securing the investment of the owner’s property. Management Notes: Our office hours are 9 AM – 9PM, Mon-Fri, 9 AM – 6PM Sat-Sun. Office number is 865-908-4948, 1-866-286-8284. Our office is located at 3121 Veterans Blvd, Pigeon Forge @ light 8. Check in is at 4PM or after, Check out is by 10 AM. For keys taken from the cabin and not left inside a charge of $12.00 will be assessed for each unreturned or broken key. The lock box key must stay in the lock box at all times. If for any reason the key is removed a fine of $100.00 will be assessed. No exceptions. Anyone not approved, that checks out after 10 am will be charged a late fee which will be the cost of another day. Dispose of all garbage in outside garbage receptacles or a housekeeping charge will apply. If your bins are full, please call and housekeeping will be glad to come by and pick it up. When checking out please turn off all lights, fans and set thermostat to 65 in winter and 75 in summer. It is not necessary to strip linens off beds or wash towels. Make sure all towels are left in the bathtubs and not on the floors when checking out. All linens and towels are counted, so please do not take them with you. Wash all dirty dishes and put back in the cabinets or a housekeeping charge of $35 will apply. Do not put plastic object (ex. Blender of coffee pot) in lower part of dishwasher. If you use the air mattress please put away before you leave. If you use the pull out couch make sure you put away before you leave. Do not MOVE OR REMOVE any furnishings, accessories or linens from your cabin for any reason, or you will be charged. TV, DVD, VCR or satellite are found disconnected a fee to you of $100.00 to reconnect. Fireplaces are open October 1 – March 31, but firewood is not provided. All fireplaces, gas or wood are closed April 1 – September 30 (Fireplaces not to be used during these dates). Do not leave the cabin if there is a fire burning in the fireplace. Make sure the damper is fully open before building a fire and the firewood is dry. Keep the screen closed at all times. If your fireplace is gas, DO NOT PLACE ANYTHING IN THE FIREPLACE AND DO NOT MOVE LOG CONFIGURATION or there will be a replacement charge. Housekeeping services will not be provided during your stay unless requested; there will be an additional charge for various services. If additional housekeeping services are needed, please request a price sheet prior to check in. Use only toilet paper in commode to prevent stoppage. There will be a $25 charge by maintenance to unstop commodes. Aunt Bug's Cabin Rental will not be responsible for personal items left behind in the unit. If you request us to pick items up and mail to you, they will be mailed COD. If needed, an iron may be checked out at the office and must be returned at check out. A deposit of $10.00 is required to check an iron out at the office. Irons are on a first come first serve basis. Suggestions of items to bring: coffee filters, iron, paper towels, sponge, Kleenex, charcoal and lighter fluid if grill is charcoal, beach towels or extra towels, laundry detergent and fabric softener for washer and dryer in cabin, starter wood for wood burning fireplaces in season, extra toilet tissue, hair dryer, bars of soap, trash bags and dishwashing liquid or dishwasher tabs. YOU ARE PROVIDED A COURTESY SUPPLY OF SELECT ITEMS THAT WILL ASSIST YOU THROUGH THE FIRST DAY ONLY. Smoking is not permitted inside the cabins. If a cabin has been smoked in, you will be charged $200. Fireworks are prohibited at all times. No guests will be permitted to disturb the peaceful quiet of other guests; if you disrupt others, you will be evicted with no refund. Each cabin has a maximum occupancy/firecode limit including children, which will be enforced. Prices are based on 2 people per bedroom. Each additional person is $12.50/night. If guests misrepresent themselves, they will be required to vacate the cabin immediately without a refund. No house parties are allowed. Some minimum stay requirements during holidays, peak periods, etc. No pets may occupy the cabin unless you have registered your dog in a pet approved cabin. If a pet is in an unapproved cabin, a fine of $200.00 will be assessed and you will be required to vacate the cabin immediately without a refund. For a pet approved cabin, a non-refundable PER PET of $75.00 will be charged. Our cabins permit small dogs(40lbs and under) only in pet approved cabins ! The pet fee does not include any additional clean up services. You are required to clean up after dog inside/outside of the cabin. Please crate your dog when you are not at the property. Under no circumstances should any long distance calls or movies be charged to the cabin. Phones allow incoming and outgoing local calls. During winter months road conditions may require that you need a 4-wheel drive (if snow or ice is on the ground). No refunds will be given due to inability to get to cabin due to road conditions or grade of driveway. To receive a refund of the advance deposit (other than reasons listed under 5. ), cancellation must be at least 30 DAYS prior to arrival in writing. A $120 cancellation fee is deducted from prepayment, NO EXCEPTIONS. THERE ARE NO REFUNDS ON CANCELLATIONS LESS THAN 30 DAYS PRIOR TO ARRIVAL FOR ANY REASON. All group stays(2 or more cabins), 4 bedroom stays & larger, & stays totaling $1200.00 or more must prepay their stay 30 days in advance & NO REFUNDS for cancellation of these stays. To change a confirmed reservation (other than listed under 5.) you must give at least a 30 day notice and stay within 6 months of original arrival date. A $35 fee will be charged and your stay must be prepaid in full and NO REFUND if reservation is cancelled. Reservation that are changed can not be changed or cancelled for any reason. No credit will be issued for unused portions of time in case of late arrival or early departure. We reserve the right to change cabins into like accommodations up to and including the day of arrival. Rates are subject to local and state sales tax. Hot tubs and Jacuzzis should be entered at your own risk. Hot tubs have bromine tablets in them. We are not responsible for any jewelry or clothing damage if worn in the hot tubs. A shower should be taken before and after entering a hot tub per guide lines of Sevier County Health Department. REFUNDS: No refunds will be made for breakdown or malfunctions of appliances (TV, VCR, air conditioner, heater, Jacuzzi, hot tub, etc. ), acts of God, and no refunds will be made (because of weather) due to electrical power, water, cable outages, location of cabin, presence of insects, type of roadways or driveways leading to your cabin or in climate weather. No refunds will be made after you check in and/or take possession of the key code packet for any reason. Liability: This rental program is under the management of Aunt Bug's /Acorn Cabin Rentals who acts only as an agent for the owners. Under no circumstances will management be responsible for any loss, expense, damage, claim injury, direct or indirect, consequential or otherwise caused or incurred, as a result of any delays, substitutions, rescheduling, or changes in the provisions of accommodations by Aunt Bug's /Acorn Cabin Rentals or by reason of acts of God, or by agents, employees, subcontractors, third parties, or as substitute. 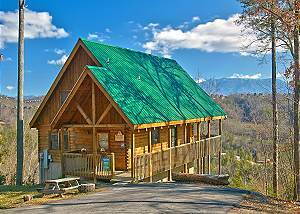 Aunt Bug's /Acorn Cabin Rentals reserves the right to refuse or discontinue service to any person and/or rescind any contract for accommodations or guest services. All properties are privately owned: management will not be responsible for accidents or injury to guests or for loss of money, jewelry or valuables of any kind. If Aunt Bug's /Acorn Cabin Rentals must seek remedy in court for any reason, all attorney’s fees and court costs will be paid by the customer. I have read and understand the rules and regulations. I certify that I am at least 21 years of age and that I will be held responsible for the care of the property being rented under my name. I accept full responsibility for the damage or extra cleaning charge assessed during or those discovered after departure from the above rental. I authorize these charges to be debited from my credit card or subtracted from my cash security deposit.